Shaving the neck with an electric shaver deserves its own topic in my opinion. One of the things that makes shaving a real chore for many men almost always has something to do with it. As a former wet shaver I can recall it was literally a pain to shave my neck. Switching to electric did improve things quite a bit, but it took some serious trial and error until the comfort and closeness improved to a level where I could finally say that I am satisfied. In this article I will share what I consider to be the single most import adjustments you can make to drastically improve your experience and actually looking forward to your next shave. There are quite a few problems, actually. It’s the part that has the most sensitive and highly vascularized skin, so any irritation and razor burn will create a higher discomfort. It’s also the area where hair often grows parallel to the skin, making ingrown hairs a real possibility. There are multiple areas on the neck where the hair changes the direction of growth and you must do some sort of mapping to be able to shave it efficiently. The different, odd shapes that offer little leverage make shaving more difficult. 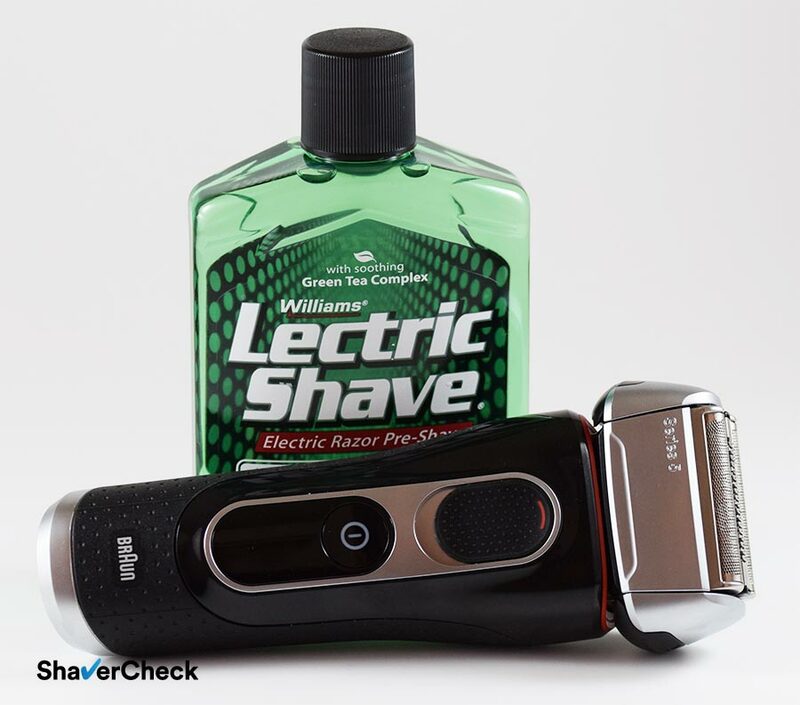 Stray hairs are often left behind when using an electric razor. The constant rubbing of collars makes the skin on the neck susceptible to irritation. So let’s see how we can address all these issues. Before getting to the actual specifics of shaving the neck, I want to mention that it is extremely important to get the basics right. This means two things: using the right shaver — especially if you have coarse facial hair or sensitive skin — and having an effective pre-shave routine. I highly recommend reading those topic as well. 1. Always start your shave with the neck. The reasons for this are plentiful; it requires the most time, attention and passes, so you’ll want to be patient and thorough. We tend to be more sloppy and impatient towards the end of our shaving sessions, so it’s a good idea to start off with the tricky parts. Moreover, the foil of the razor tends to get hot as you use it and cause irritation and discomfort. And that’s bad for the sensitive skin on your neck. 2. Use a pre-shave lotion or powder. This is included in the pre-shave routine mentioned above, but I consider it to be so important that it deserves to be mentioned explicitly. If you don’t use shaving cream with your electric razor (and here is why you should), a pre-shave product is mandatory in my opinion. It makes the hairs stand up, offers a layer of lubrication and absorbs the moisture of the skin. This makes a significant difference for most men in terms of comfort and closeness and it’s particularly effective for the neck. Longer hair can cause problems for even the most advanced shavers. It’s also more likely to experience some pulling if you haven’t shaved in more than two or three days. Hairs also tend to lie flat on the neck more than on other parts of your face, and having not shaved for a few days only makes this worse. You should however allow your skin a few days to heal between shaving sessions if you suffer from blemish-prone skin, ingrown hairs or any form of more serious irritation. It’s a good idea to use a facial hair trimmer to reduce the stubble to a more manageable length prior to shaving; you’ll be avoiding the discomfort of unnecessary passes and the frustration of stray hairs that would get left behind. 4. Adjust the direction of the strokes so that you’re always shaving against the grain. The neck is one area where it’s more likely to have hair growing in different directions. Then there are the flat lying hairs and going with or across the grain is pretty much futile. If you’re using a rotary razor, the direction of the circular pattern should also be against the grain, even though this is less of a problem in this case. 5. Adjust the angle and length of the strokes. Depending on which particular area of the neck you’re shaving, you’ll need to use longer or shorter strokes. Use long strokes for large areas with hair growing in one direction, like the front part of your neck, starting from just beneath your chin and down to your Adam’s apple. You’ll also want to use short strokes to tackle the usually smaller areas where the hair grows in a different direction. Also, just below the jawline there is a tricky area where you’re also better off with using short strokes, always making sure to adjust the angle and direction of the razor. Going against the grain is the key here. 6. Don’t be afraid to apply a bit more pressure than usual when needed. You also may need to do more passes than on your cheeks for example in order to get a smooth shave. This applies particularly to men with medium to thick facial hair; if you have sensitive skin, applying more pressure is definitely not recommended. 7. Tilt your head back, raising your chin to stretch the skin on the neck. You can also use your free hand to further stretch the skin and make the hairs stand up. 8. Experiment with various approaches regarding the shaving technique until you find something that works best for you. This includes dry/wet shaving, more/less pressure and longer or shorter strokes. 9. Always follow up with a soothing, hydrating balm. Just because we ditched the blade doesn’t mean the post-shave treatment is obsolete. It’s actually just as necessary. And the neck is the most sensitive area for most men, so definitely don’t skip this step. Hopefully these tips will come in handy and make shaving the neck less of a chore. As said before, you will have to experiment with different techniques and probably different razors in order to get satisfactory results. Make sure to check out our reviews and articles as well.